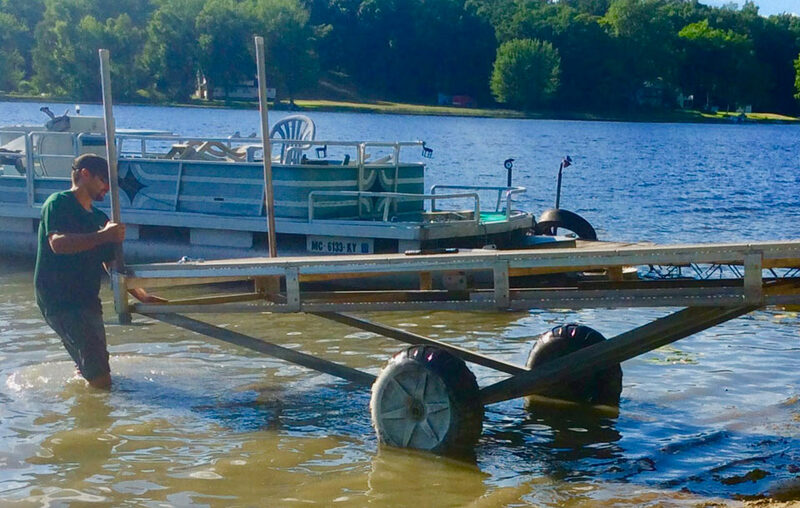 Roll-in docks are great — unless you have a soft, mucky lakebed. Dock Mats give you a firm path for roll-in docks or for carrying traditional docks in and out. Dock Mats create a clear, weed-free area under your dock, (finally, you can see what’s under there). Once they’re in, Dock Mats are a stable base to support your dock, prevent it from sinking — and helps keeps it level. Dock Mats are 6-feet wide (5’9”) by 14-feet long. They fit the wheel span of most roll-in docks and allow for stabilizing polls on both ends of standard, 16-foot dock sections. 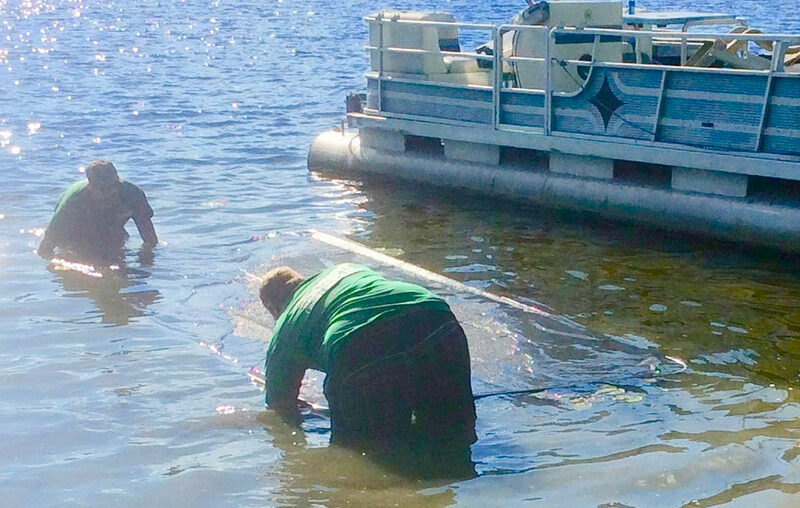 If you’ve had your dock stuck in muck, you know what a pain it can be — and breaking it loose to get it out in the fall is a hard, miserable job. Dock Mats make everything a lot easier — guaranteed! 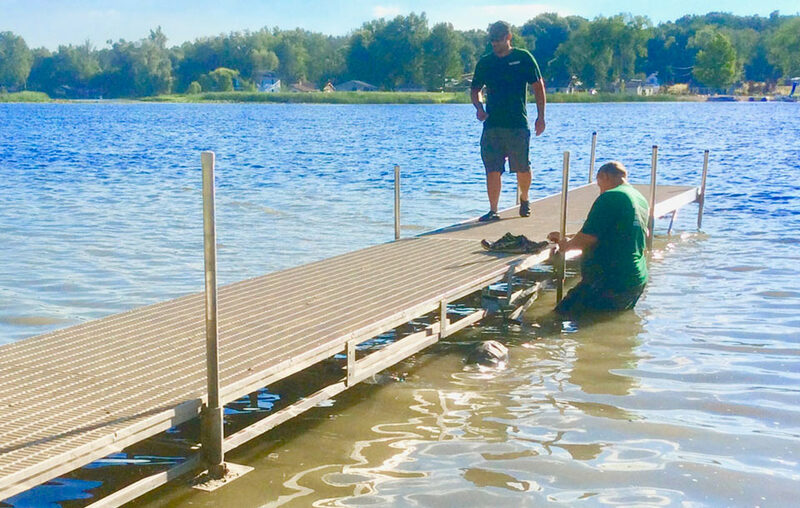 Dock Mats make installing your dock easy on mucky lakebeds. 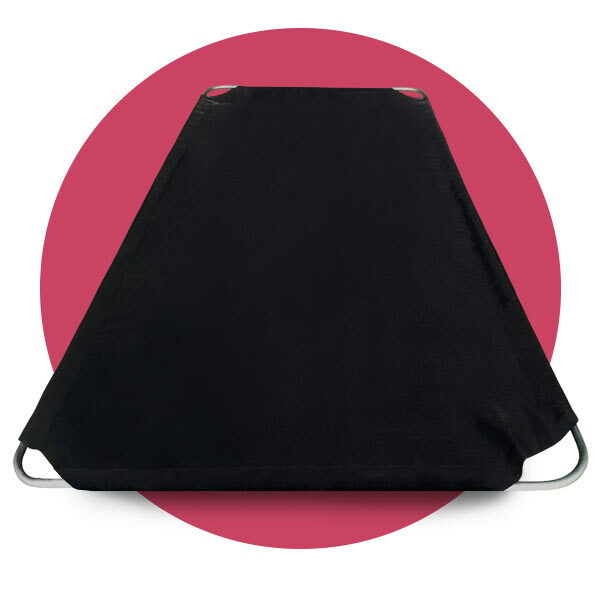 Dock Mats quickly sink to the bottom, creating a stable base for your dock. 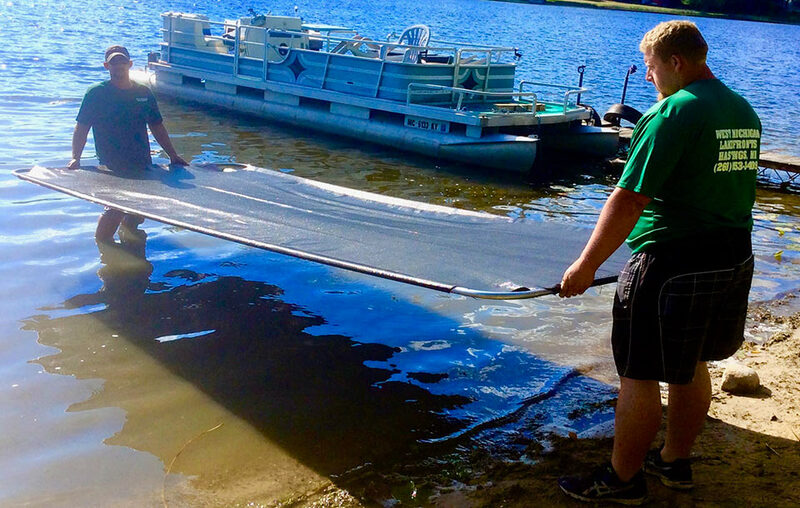 Roll (or carry) your dock on Dock Mats, no more sinking in muck. Notice in this photo, the footpads are still up. The entire dock is resting only on its wheels on a Dock Mat.